It's our biggest celebration of the year, and we need your help to pull it off! Feel welcome to sign up for any and as many shifts that you would like. 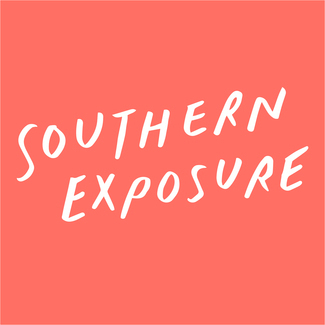 45 REVOLUTIONS PER MINUTE, 45 YEARS OF SOUTHERN EXPOSURE is a celebration of the ways Southern Exposure has supported the Bay Area's diverse art ecosystems over the decades. On March 23, the grand atrium of Minnesota Street Project will be the stage for highlighting some of the greatest A-Side hits from SoEx’s history of presenting cutting edge artworks. Join us for vintage vinyl spinning by DJ Hot Fruit, pop-up performances, and the chance to bid on more than 100 works of contemporary art from emerging and internationally recognized artists through live and silent auctions. See it all unfold from behind the scenes by volunteering. Do it for the SoEx community – and for free admission to the event! Are you careful, speedy, and familiar with handling art? We need your expertise to make sure art comes off the wall and leaves in the hands of the highest bidder in pristine condition. Good with people and have a sharp eye for numbers? Be our Art Sales cashier and help auction-goers get out the door with their newly-acquired artworks! I'll come by earlier and happy to be put to service during the event for other things too. Serve beer, wine and cocktails to keep the mood up and the bids high! You must be over 21 to bartend. You’re on hand to make sure everything looks great all night long, helping with the flow of guests, and checking up on all areas of the event to keep everything neat and clean. This isn’t a glamorous job, but it’s a crucial one. Local restaurants and businesses have donated food and drinks for our auction guests. You’ll help with plating and presentation, keeping the food tables stocked and beautiful. I have a truck and can also make runs! Greet auction-goers and be the friendly face of SoEx. You are the point of entry for the main auction event, directing guests to the correct line, checking off names and selling tickets. You have the balance and presentation skills of Vanna White. Wear white gloves, present the artwork and ferry it safely to the wrapping room after the winning bid! Watch the drama of the live and silent auctions unfold from center stage. Help us keep MSP clean during our celebration and help us with load out at the end of the event. Greet auction-goers and be the friendly face of SoEx. Help guide them to the correct table and get them excited to bid as soon as they enter!